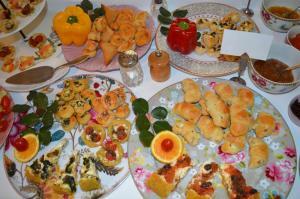 Best breakfast spread ever - we loved all the home made cakes etc. Friendly and helpful staff. Parking is available on site, which was handy. The owners were extremely nice and welcoming. Upon our arrival, they greeted us with freshly squeezed orange juice and pastry. In the room, we found a bottle of Cretan wine along with the basket of fruit. The owners packed us lunch every day before we had left for the beach, and upon our arrival, there was always house wine waiting for us in the fridge. They even baked a cake for us once! The room was rather small, but comfortable for 2 people. It was extremely clean, and had all needed amenities. The hotel is located on a hill which allowed for a perfect sea view from the balcony. Overall, we felt like we have a second family in Agia Galini. Thank you very much for your hospitality! The hosts are very lovely people and welcoming; they offered us great advice on what to visit in the surrounding area. The room is nicely decorated and you can find everything you need in it. The property has a private parking lot which is a plus for that area. Stella,the host, was outstanding across the board: from providing us with a huge selection of delicious homebaked sweet and savory pies,cakes and tarts for breakfast to advising us on where to go on daytrips. The rooms are clean and beautifully decorated! 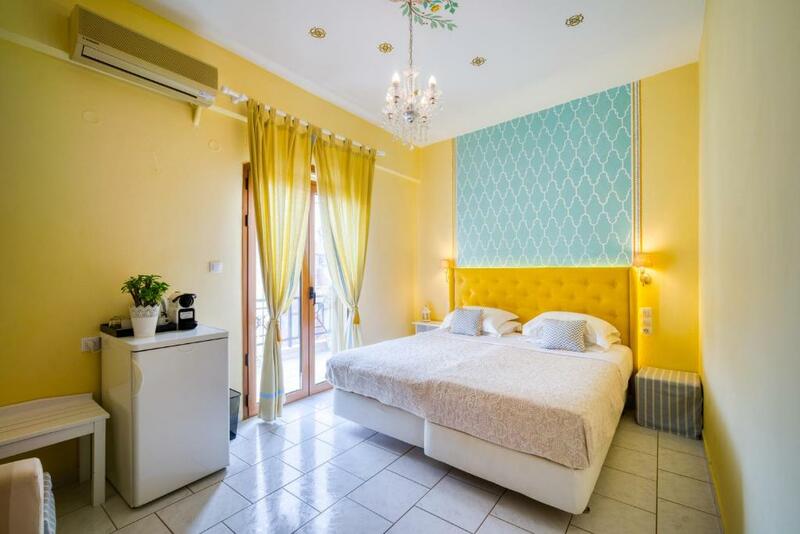 Incredible beautiful fantastic nice wondeful unforgettable romantic accommodation in Agia Galini. Rozmari is a family conduction accommodation, which makes the big difference because they make hearth and love in what they offer you. 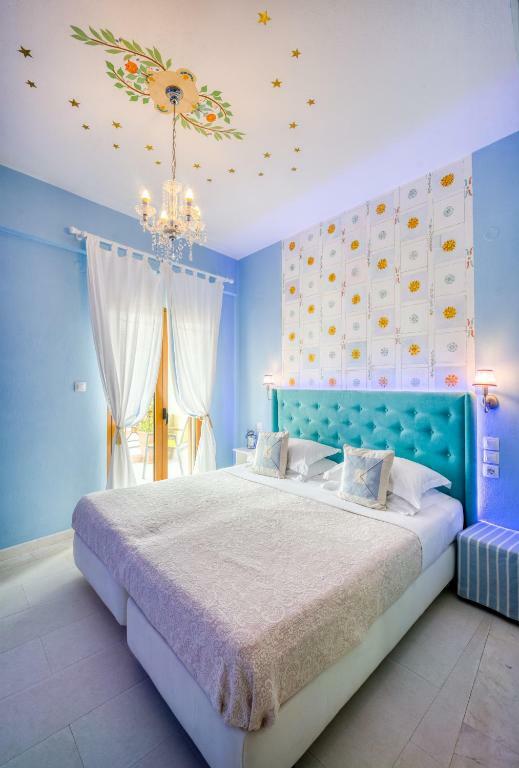 Rooms are simply idillyc, new, clean, with light blue painting and decoration on the walls and the ceiling. Balcony has a wonderful view of the sea and the cliff. In the morning a monumental breakfast waits you, everything is home-made by Stella with genuine and bio products, you only have the embarrassment in the choice between salty and sweet food. 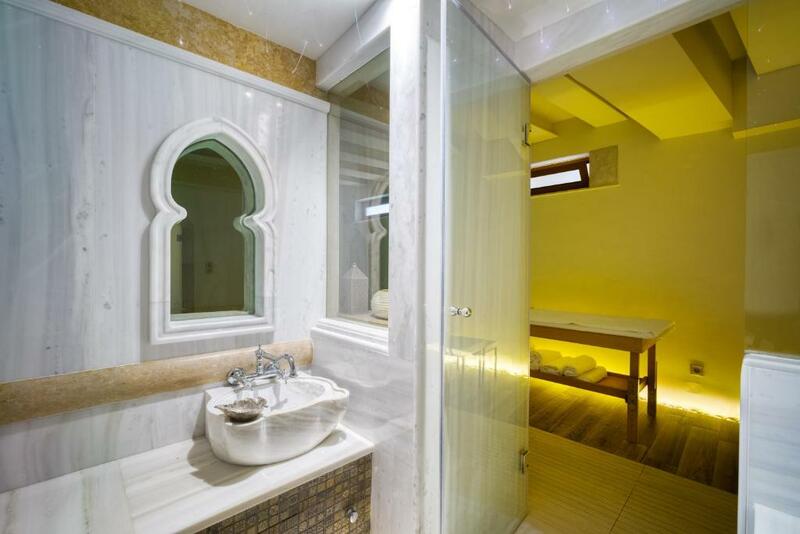 They are incredibly considerate in ensuring you are at your best ease and pleasure, it's very rare to find such a kind of superior attention paid by the owner in the well staying of the people. It was a pity to stay only two days, we will surely return again to live the magic atmosphere you can breathe at Rozmari. A sincere THANK YOU to the all family who hosted us. Very beautifully decorated with an extremely comfortable bed. Nice view and easy walk to the village and the beach. The breakfast was superb and the hosts are above and beyond helpful and kind. Would love the opportunity to stay here again. Very pleasant one night stay. Arrived a little before check in time, but no problem. Easy to find, free convenient parking. Walk to town/beach. Very gracious couple/hosts do everything to make you comfortable. Assistance with luggage appreciated. Several beers provided in refrigerator were welcome after drive, as was water. Nice wine and tasty morsels provided in room. Breakfast consists of fresh squeezed OJ, great coffee, bread, fruit, and any number of homemade cakes and pastries. Room had balcony with ocean view. When we departed, were provided something tasty for the road. Lock in a great price for Rozmari and Spa - rated 9.7 by recent guests. 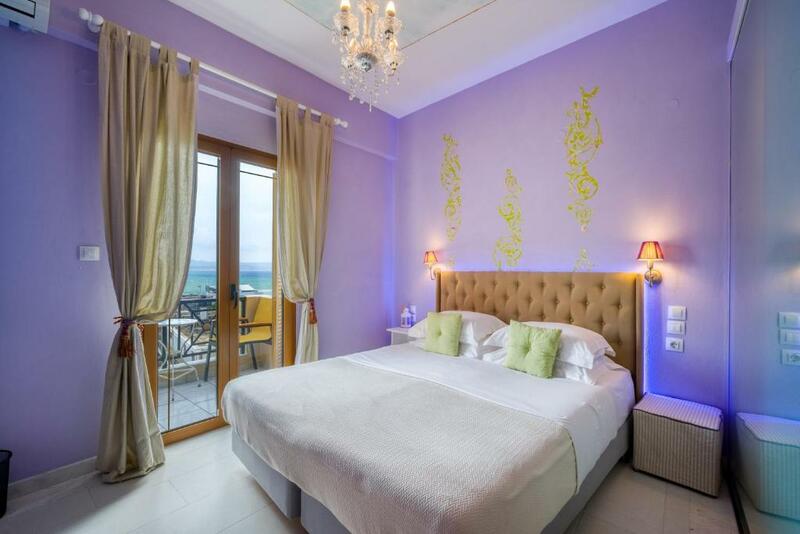 The air-conditioned units are decorated with bright colours and modern furnishings and they all open up to a balcony. Featuring a private bathroom with free toiletries, each unit includes a satellite TV and a fridge. 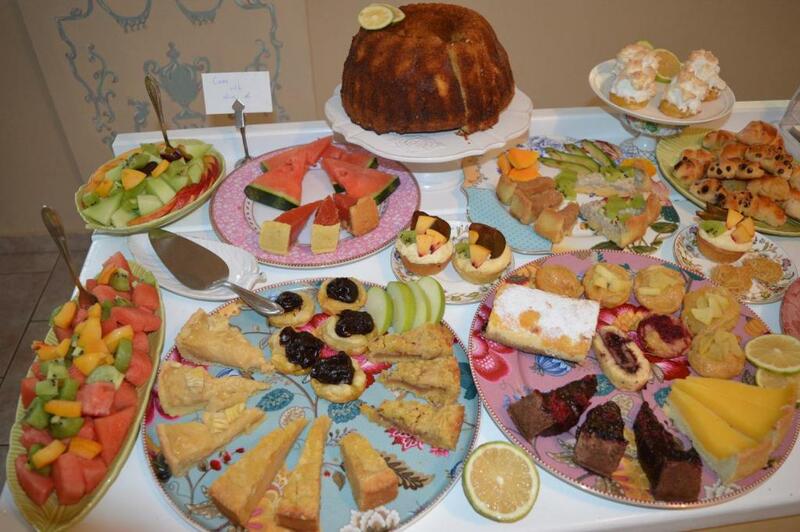 A buffet breakfast, comprising of handmade sweets and pies, is served daily at the breakfast room. Coffee, tea and beverages can also be served at your private balcony during the afternoon. Rozmari is located 350 yards away from Agia Galini’s harbour, and the beautiful sand and shingle beach. Rethymnon, with its Venetian harbour and fortress, is about an hour’s drive away, while Heraklion Port is at 40.4 miles. Free private parking is available on site. This property also has one of the best-rated locations in Agia Galini! Guests are happier about it compared to other properties in the area. This property is also rated for the best value in Agia Galini! Guests are getting more for their money when compared to other properties in this city. Rozmari and Spa has been welcoming Booking.com guests since 20 Mar 2009. 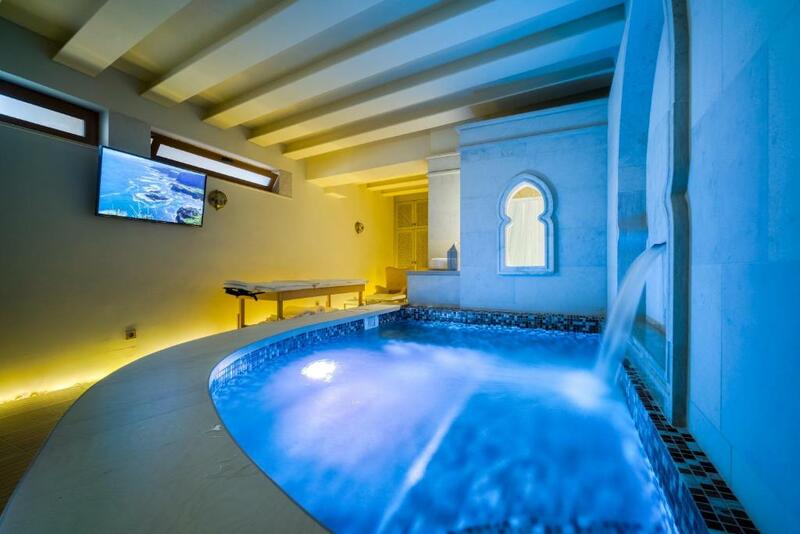 When would you like to stay at Rozmari and Spa? Decorated with bright colours and modern furnishings, this air-conditioned room opens up to a balcony and includes a satellite TV and fridge. Free Wi-Fi is provided. Opening to a balcony with Libyan Sea view, this air-conditioned room is decorated in bright colours and modern furnishings. Facilities include a satellite TV and Nespresso machine. Free WiFi is provided. House rules Rozmari and Spa takes special requests - add in the next step! Rozmari and Spa accepts these cards and reserves the right to temporarily hold an amount prior to arrival. Please inform Rozmari and Spa in advance of your expected arrival time. You can use the Special Requests box when booking, or contact the property directly with the contact details provided in your confirmation. Excellent hosts. Room comfortable and very clean. If I had a stay of more than one day, I may have had too much sugar at breakfast. It might be possible to request cereal or another breakfast item or two if there for multiple days. The hosts were some of the most gracious we met during our month in Greece, and aim to please. You will not find more helpful or accommodating hosts than Stella and Nektarios - wonderful innkeepers. Just a little uphill from the center of Agia Galini, the Rozmari guest house offers a cozy, intimate setting for enjoying this seaside town. Rooms have a small balcony looking down over the town toward the sea below - a lovely view and delightful place to enjoy coffee from the included Nespresso machine. Rooms are adequate size and the bed was very comfortable. Very clean and modern bathroom. Free parking available right next to the hotel. This is a small operation with very personalized service. Fresh fruit was waiting in the room when we arrived. 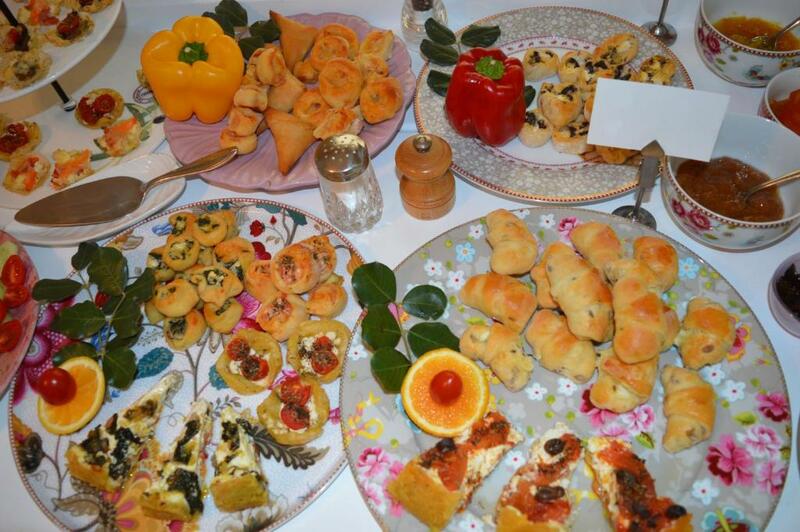 The breakfasts, taken on the inner atrium was fabulous, with a wonderful collection of homemade pastries and treats. Highly recommended - a great spot to relax and enjoy southern Crete.